I had the privilege of having five kind, young ladies over to my house for "dessert". Miss Anna turned sixteen years old and needed a proper celebration. For two hours, we enjoyed all things little and sweet: Starbucks Hot Chocolate Bar, Mini Strawberry Shortcake Stacks, Mini Peanut Butter Cookie Cups, and Sugar Cookie Truffles. Needless to say, we were all a bit on a sugar high! 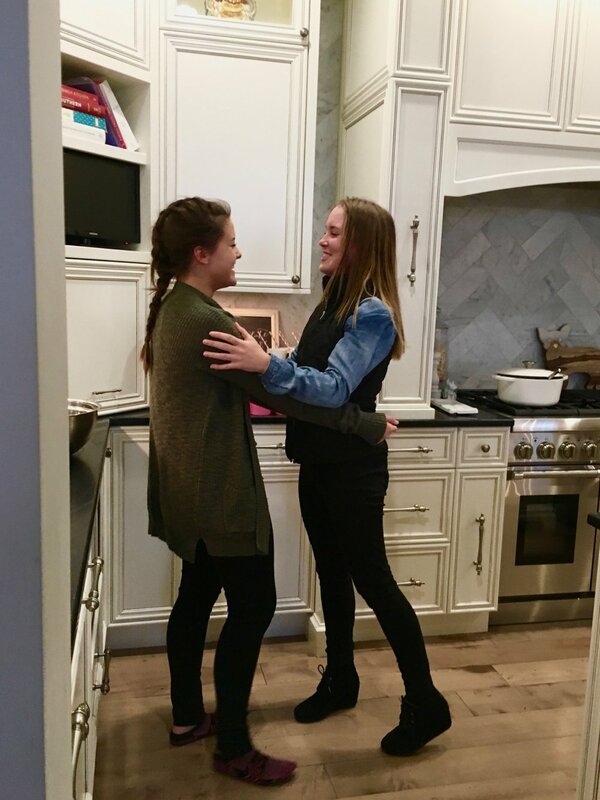 As class was starting, we had the SWEETEST reunion between my daughter Sophie and the birthday girl Anna! 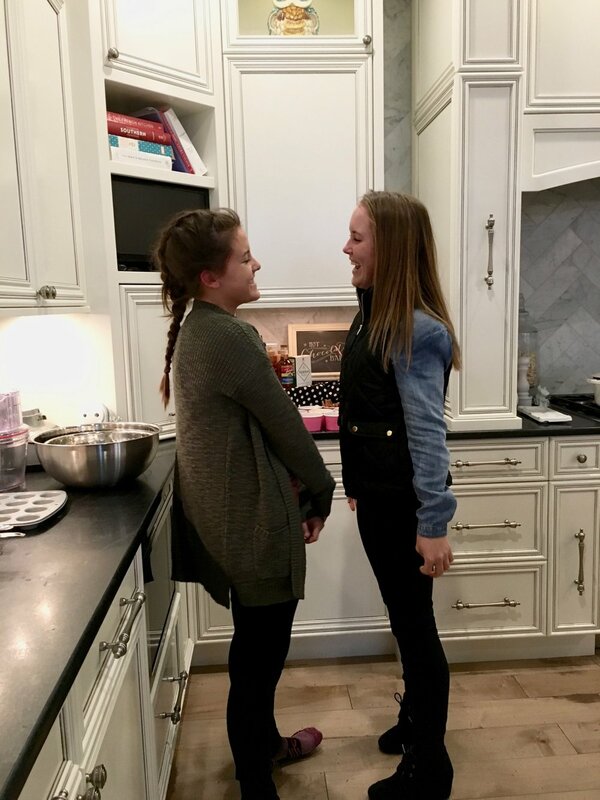 They are good friends from years of dance together. Okay, drying my tears. Back to class! I had a batch of Starbucks hot cocoa all ready for them to fix up to their liking. From biscotti sticks to dipped marshmallows, peanut butter chips to every sprinkle imaginable...I had a few toppings to choose from. The hot chocolate bar is so cute for this time of year! My first mini dessert recipe of the night was the Peanut Butter Cookie Cup. I started with peanut butter cookie dough. Scoop into a mini muffin pan and bake for 8-10 minutes. Then, top with a mini Reese's peanut butter cup or Hershey's kiss! Mini Dessert #2: Mini Strawberry Shortcake Stacks. Pound Cake + Strawberries + Homemade Whipped Cream...say. no. more! For our final mini dessert of the night, Sugar Cookie Truffles. The girls were able to dip their own truffles and take them home to enjoy later! P.S. The sunset was even pink for Anna!